Our Super Sprint Handicap last weekend was judged by participants to be an all round success! A huge thank you to our Treasurer Lisa Payne who stepped up as RD when no one else put up their hand. Lisa and her mini crew got us all organised and ready to go with the help of rego volunteer Tina Sanderson & fruit & ice was sorted thanks to Jo Duncan. We had plenty of committee members on hand to help as well and we are also grateful to those who just pitched in on the day to assist. This time activities will include a swim, so make sure the kids are ready to get wet. If your child needs assistance and close supervision in the water we ask that parents be ready to be involved in the water activities. After seeing the enthusiasm the kids jumped in the water last time we expect that water activities will be popular. Again we will be having some fun activities for the younger kids 5-9, including practising transitions, entry and exit from water and a short obstacle course. Then we will do a couple of mini triathlons with fun being the main focus. For the older kids 10+ they can choose to do a more structured triathlon where the child and parent can choose the distances they wish to participate in, according to their individual capabilities. Time permitting we would like to do a relay again with teams mixing younger and older children and parents too. The kids seem to enjoy racing against parents so if you feel up to it, we would love for you to participate. If you are planning to attend, please email darwintriclubjunior@gmail.com and let us know in advance so we have approximate numbers for catering purposes. ANY type of bike can be used but please make sure your child has a helmet. 2. Good luck Brad George, competing at Melbourne Marathon this weekend. 3. Our Kona crew are either home or heading this way. Thanks for a great day's tracking! 4. 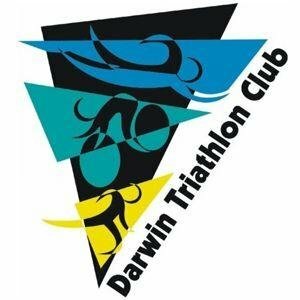 Official results are not yet up but it appears Kevin Coyle and Fiona Coyle (fresh off the plane from Hawaii) have taken out the Alice Springs Masters Games Duathlon! 5. 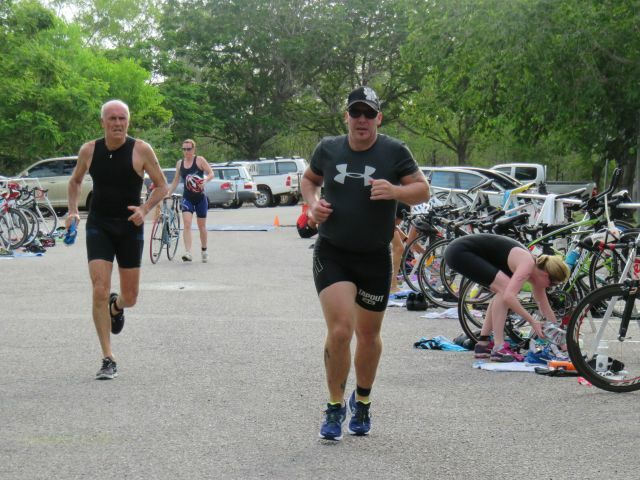 Also hearing there were gold medal results posted in the duathlon by Vicki Woodrow and Steve Goat. 6. Tom Marsh is doing a little fundraising for cancer research. Find out more & donate here. 8. Appears the bike lane on the Esplanade is to stay. But then again it may not be. There's an "Oops" moment in this - can you pick it?